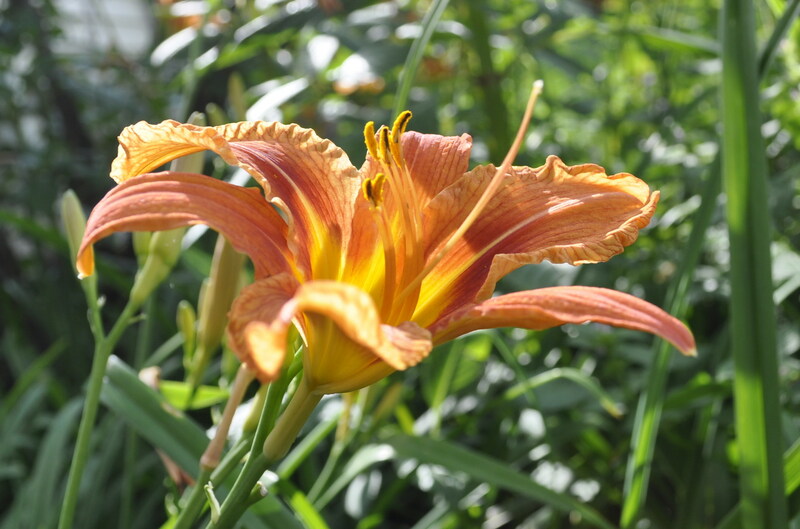 The sun through the day lilies…this is the light to inhale…doesn’t this color smell divine? 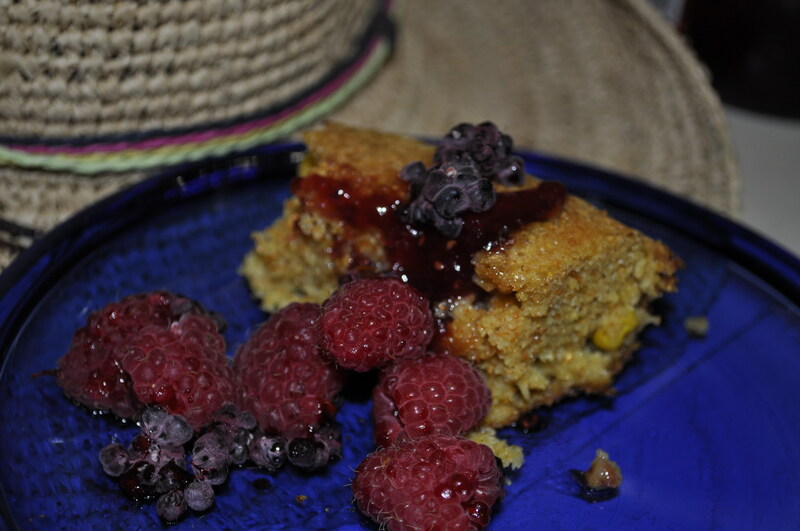 This cornbread is made with the home ground popcorn meal! Fabulous texture and taste that is rich. Raspberries squished around and about. The back ground in this picture is the great sun hat the LoML bought for me as a surprise. Isn’t he delightful? 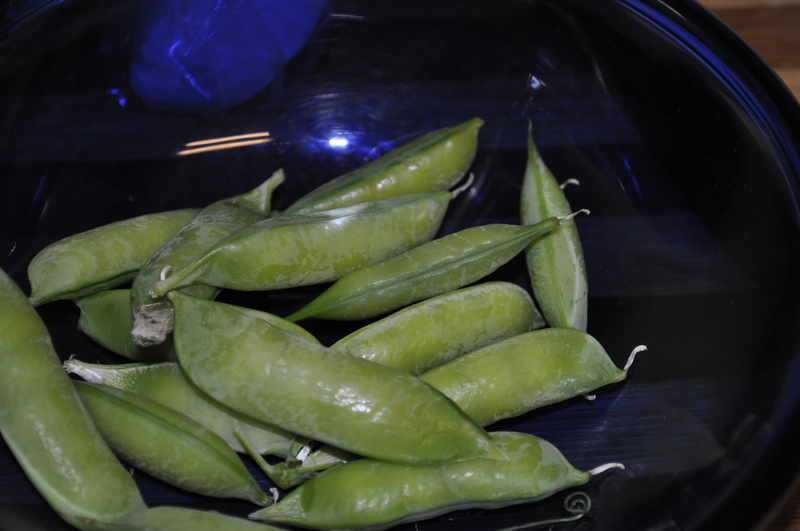 Peas. Don’t they just mean summer? The treasure hunt of them. We also planted some peas like the fields of peas that farmers plant. 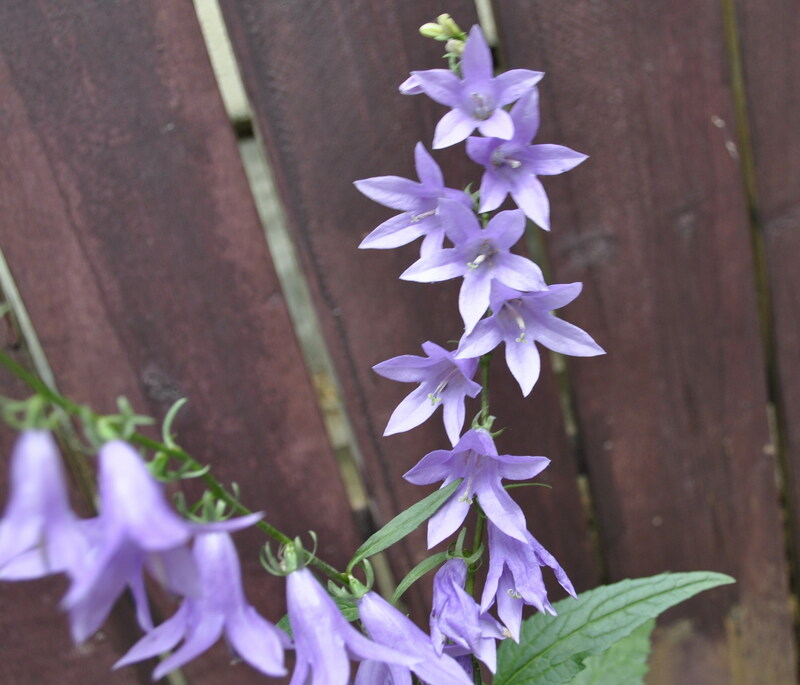 They are vigorous and hold onto each other in a tight vertical to be over three feet high. Pea soup this winter. Wow. 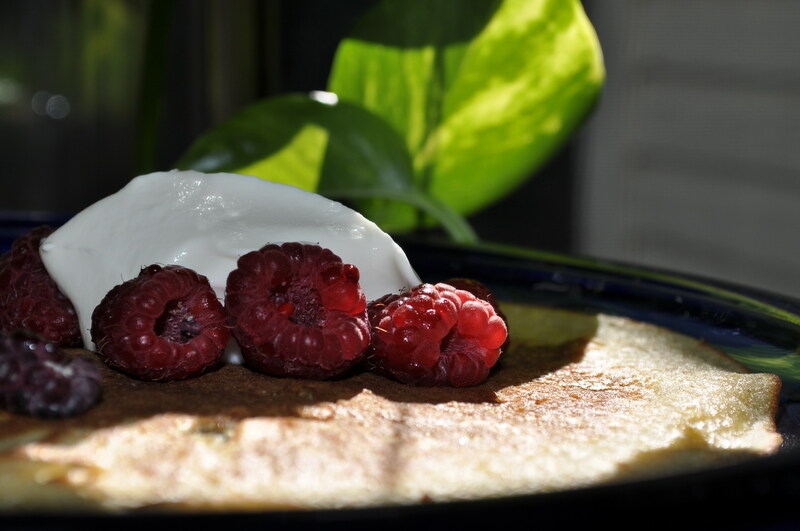 Early morning sunshine through the fresh raspberry pancake and… yogurt. The flour in this is from garbanzo beans…!?! it is very good, very! How lucky to come across all these choices. 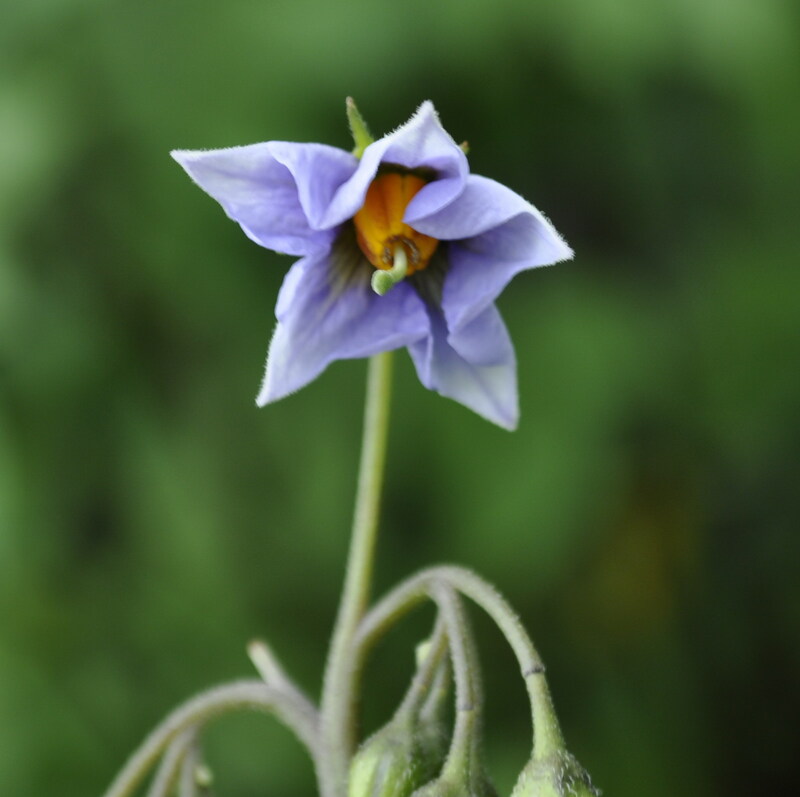 The flowers on the purple potato plant. Amethyst. 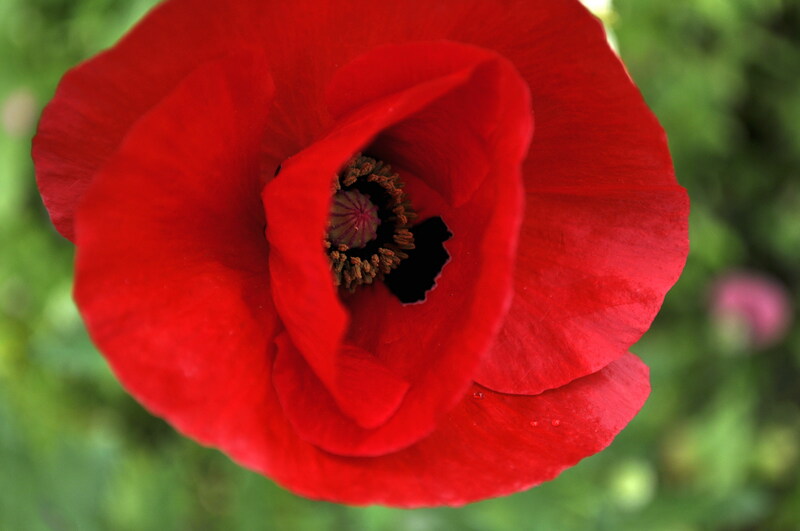 Poppy. There is a little field of them… even in the neighbour’s yard. Is this an indigenous plant? The local blue bell type. I love the camera. ~ by Elaine Berglund on 03/08/2010. That raspberry pancake just looks so very yummy! And peas have always been my favorites of all of the vegetables, which says something because I like almost all veggies (only a couple would I pass by without a second glance). And yes, your life’s love is fabulous.